Home holiday I am here and it is b-e-a-utifulllll! I am here and it is b-e-a-utifulllll! I am here and I will be back very soon. 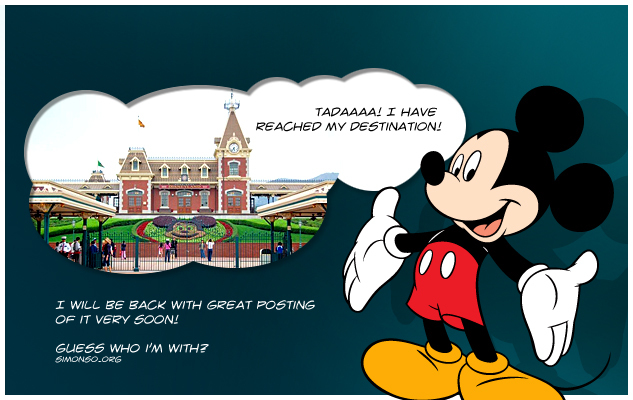 Stay put for great posting of Disneyland, few great magical icons, fairytale casts, and some secret people with me whom you should know.. ouwhhhhh! Have a wonderful weekend people. Come back again and probably i'll surprise you with something reaaaally reaaaally amazzzzzzingg and magggiiicall.